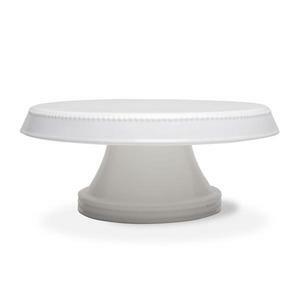 Our classic large cake plate, accented with subtle piping detail, will elegantly present any baked confection. parisian and european influences dating back to the 18th and 19th centuries are reborn in our flea market collection. crafted of high quality earthenware in the european pottery tradition.